Carlitos Del Puerto has bass running through his blood. The son of legenday Cuban jazz bassist, Carlos Del Puerto, Carlitos was born in the town of Cayo Hueso in Havana, Cuba. 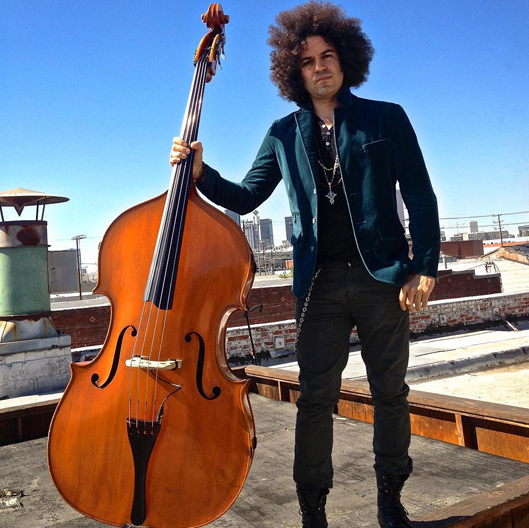 His first instrument was the cello, and at 14 he switched to acoustic bass. By 16 years old he was already performing and recording with some of the top artists in the country. He received critical acclaim at the Jazz Festival in Havana, which led to a scholarship at the USC School of Music. Arriving in Los Angeles, Carlitos quickly acclimated himself to the many musical influences around him and continued to hone his craft while studying and playing at numerous gigs around town. In 2004, he was invited to go on tour with Steve Lukather, and after, he started working with famous Jazz drummer Max Weinberg. From there, Carlitos has been putting in work with some of the best musicians in the business, playing on recordings and performances for Booker T., Gloria Estefan, Chick Corea, Carole King, Jennifer Lopez, and Barbra Streisand, and the list goes on. Carlitos plays both the acoustic and electric bass and is an avid Mogami Cable user. Here's what he has to say about playing both instruments, "I love the acoustic bass and the electric bass equally, but they're different in a thousand ways, starting with the physical aspects of playing them and the position of your right [plucking] arm. I pretty much treat them as separate instruments, and I don't do a lot of borrowing from one to the other."